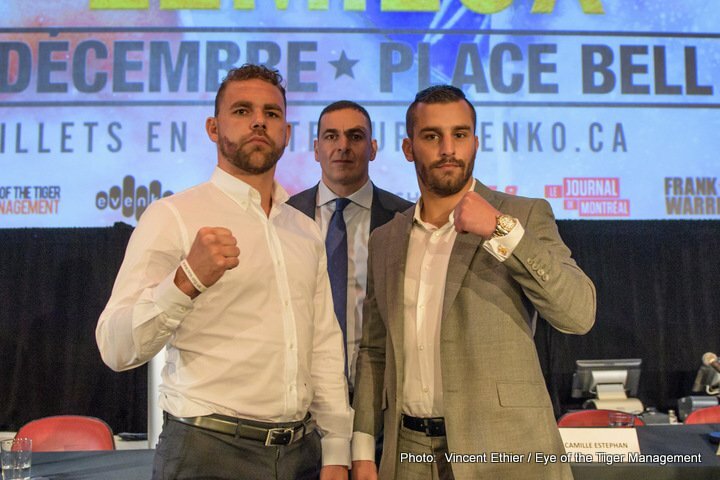 By Daniel Fitz-Simons: When two of the world’s top middleweights, David Lemieux (38-3), and Billy Joe Saunders (25-0), meet on November 16th in Quebec, fight fans will witness an exciting, and extremely even, contest. 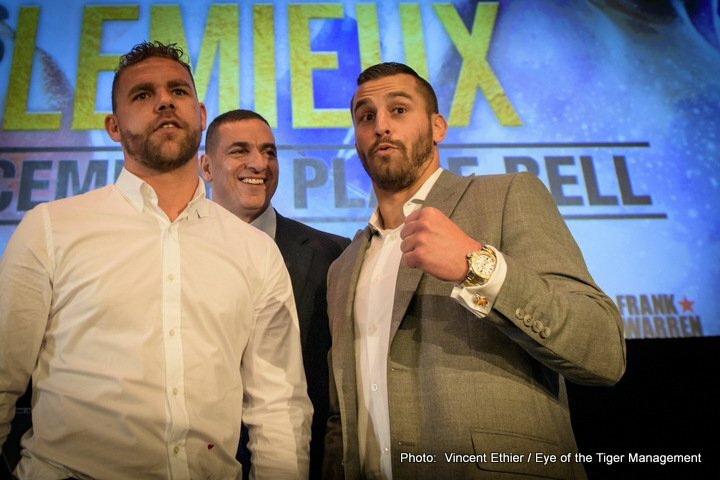 Boxrec ranks Lemieux at # 7, and Saunders at # 5. 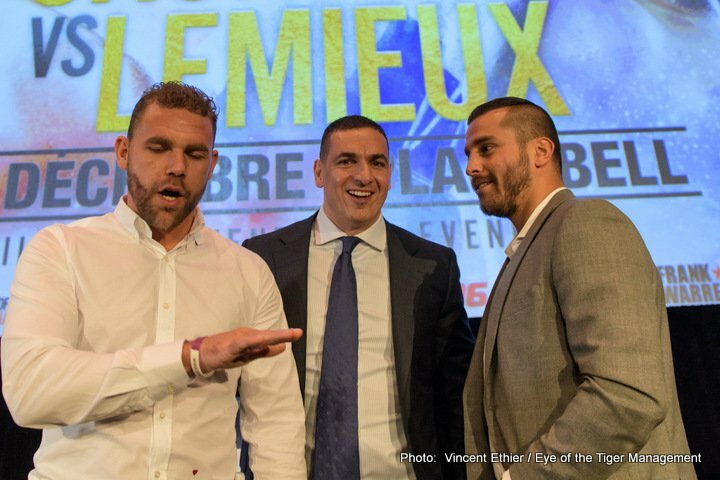 However, Ring Magazine recently pushed Lemieux up from # 10 to # 4 after his devastating KO of Curtis Stevens, which could be ruled the knockout of the year. 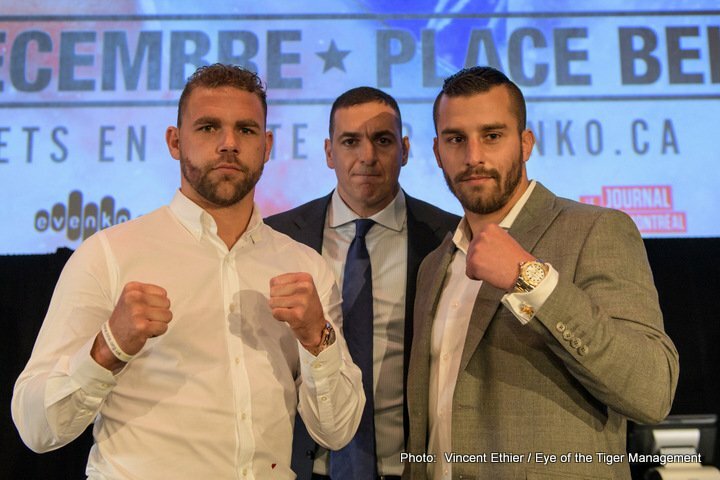 Moreover, this highly unpredictable WBO match resembles a classic clash of styles, pitting Lemieux, a relentless banger, against Saunders, a slick boxer-puncher. 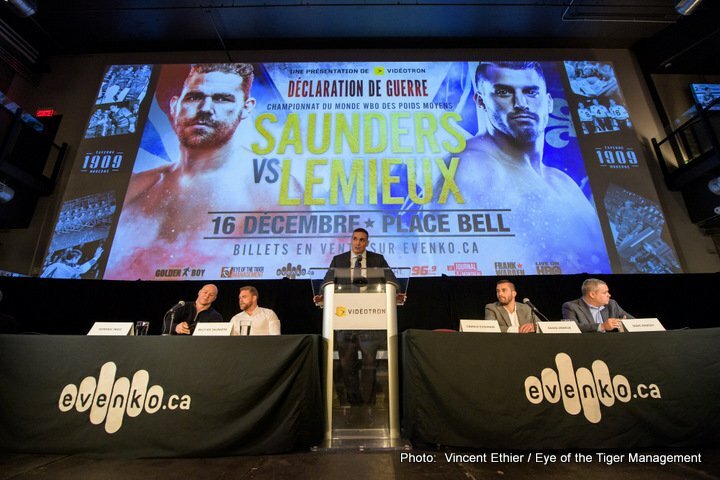 The choice of Quebec for the bout gives Lemieux two advantages: 1st, a live connection to his rabid Canadian fans, and 2nd, a psychological edge over Saunders, a British (“home boy”) champion, who has never fought outside the UK. 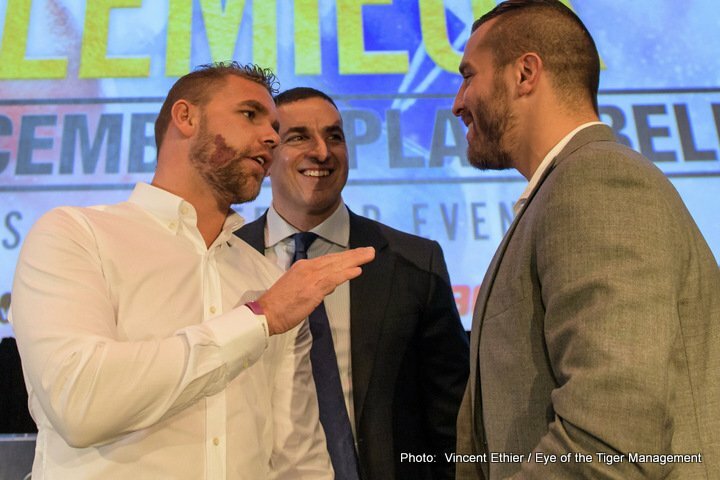 In addition, Lemieux’s 33 KO’s attest to a raw, physical power, which has made him one of the most feared warriors in the division. His intense style can also be unnerving, as he advances toward his opponent with tremendous focus. 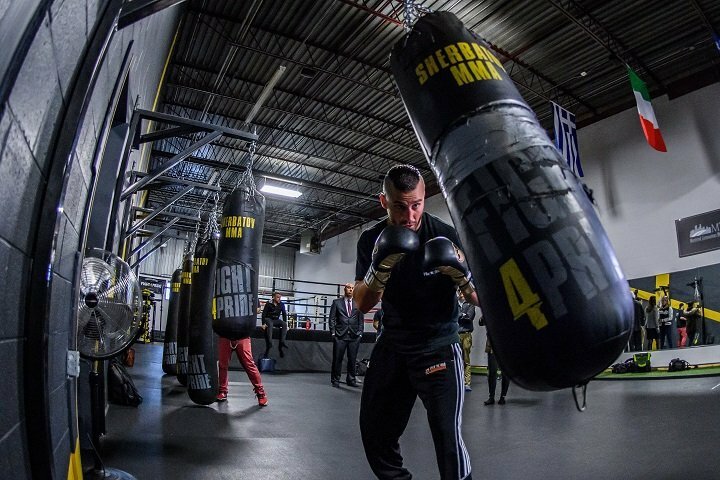 Fighting out of an orthodox stance, he constantly throws leather, landing fast combinations of clean, hard blows. In addition, his most lethal punch, a short, left hook on the inside, has concussive power. Although only 5’9,” the rugged Canadian has obliterated many taller opponents. 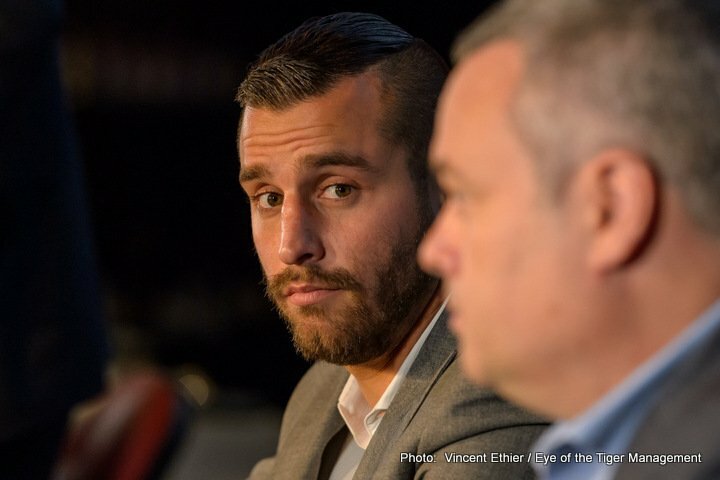 Lemieux started boxing at age 9, and his achievements after turning pro in 2007 read like a “Who’s-Who” in the middleweight division. 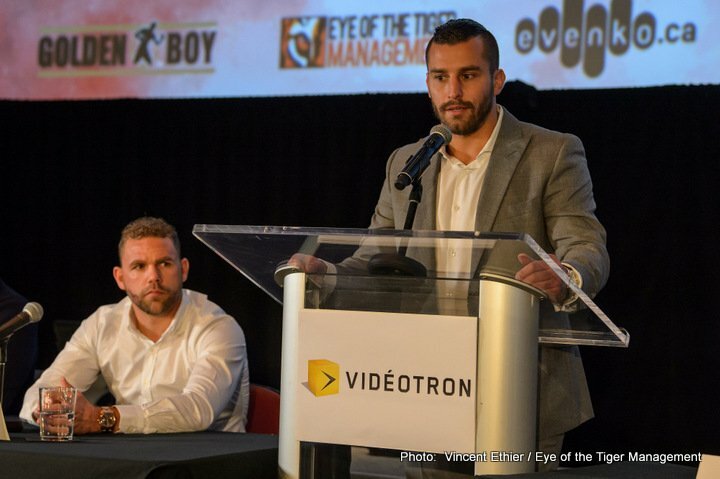 He has also acquired a wealth of experience and alphabet titles (WBC, WBO, NABO, IBF), battling seasoned, professional opponents like Juandiel Zepeda, Joachim Alcine, Jose Miguel Torres, Hassan N’Dam, Elvin Ayala, Glen Tapia, and Hector Camacho Jr. 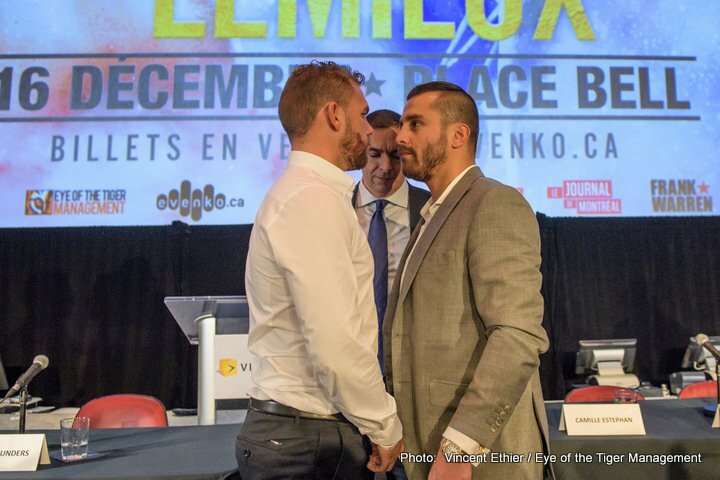 Even when outclassed by Gennady Golovkin, and out gassed by Marco Antonio Rubio, Lemieux exhibited great heart, proving he could take a punch. Since then, through sheer grit and determination, he has been able to rebound and turn his career around. 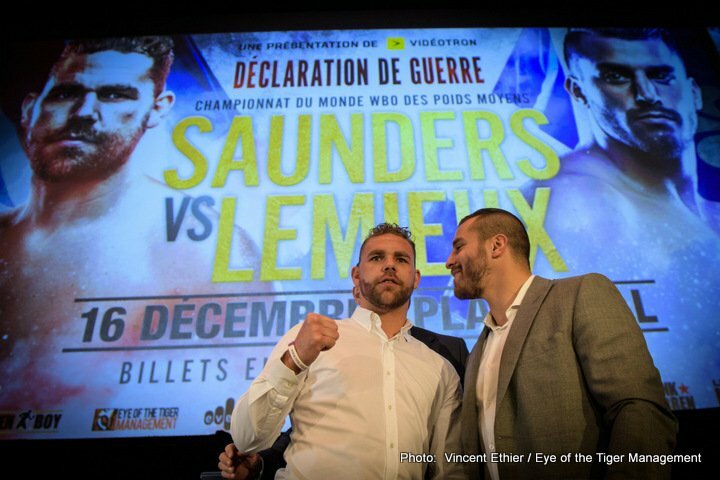 At 28, Lemieux is at the peak of his prime, and Saunders may be challenged as he’s never been challenged before. 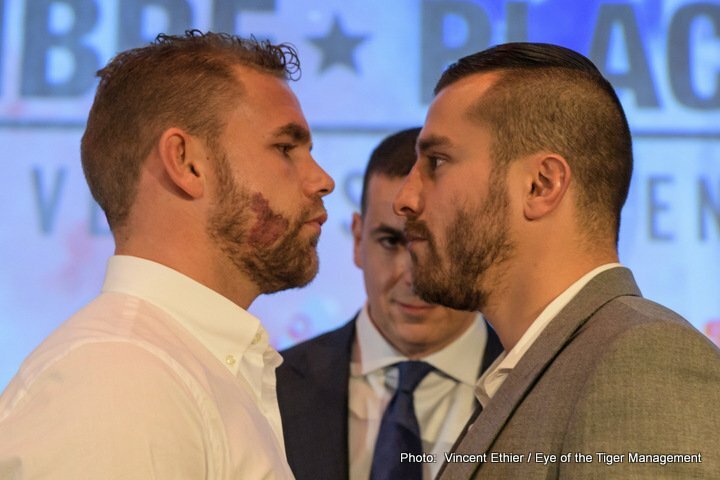 That’s what makes this fight such an interesting contest.